В статье приводится анализ концептуальных моделей социальной тревоги (СТ) (когнитивная, метакогнитивная, экспериментально-патопсихологическая). Показано, что ключевыми механизмами возникновения и поддержания СТ выступают специфические нарушения целевой регуляции, а также когнитивно-перцептивной избирательности психической деятельности в ситуациях оценивания. К искажениям когнитивно-перцептивной избирательности относится самофокусировка внимания («я глазами других»), селективный мониторинг стимулов, угрожающих статусу, фиксация на отрицательных аспектах ситуации, негативное прогнозирование. При СТ характерно метакогнитивное означение тревоги как опасной и субъективно неприемлемой. Участие в ситуациях оценивания при СТ провоцирует избыточную фиксацию на второстепенных операционально-технических аспектах деятельности. Характерно смещение фокуса внимания на исполнительские и вторичные по отношению к целевому приоритету аспекты самопредъ-явления. Многозадачность когнитивно-перцептивной деятельности при СТ в ситуации оценивания приводит к быстрому истощению ресурсов произвольного внимания и дезорганизации поведения. Сагалакова О.А., Труевцев Д.В. Метакогнитивная модель социального тревожного расстройства // Известия Алт. гос. ун-та. - 2012. - №2/1. Сагалакова О.А., Труевцев Д.В. Метакогнитивные стратегии при социальном тревожном расстройстве // Вектор науки Тольяттинского гос. ун-та. - 2012. - №1(8). Amir N., Elias J., Klumpp H., Przeworski A. Atten-tional Bias to Threat in Social Phobia: Facilitated Processing of Threat or Difficulty Disengaging Attention from Threat? // Behaviour Research and Therapy. - 2003. 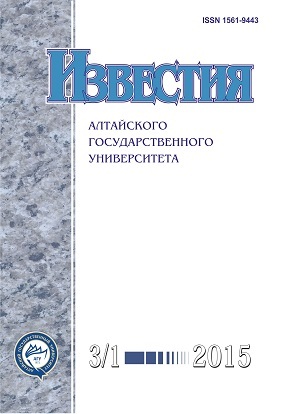 - №41. Bogels S.M., Mansell W. Attention Processes in the Maintenance and Treatment of Social Phobia: Hypervigilance, Avoidance and Self-focused Attention // Clinical Psychology Review. - 2004. - №24. Bradley B.P., Mogg K., White J., Groom C., de Bono J. Attentional Bias for Emotional Faces in Generalised Anxiety Disorder. British Journal of Clinical Psychology. - 1999. - №38. Carver C.S., Peterson L.M., Follansbee D.J., Schei-er M.F. Effects of Self-Directed Attention on Performance and Persistence Among Persons High and Low in Test Anxiety. Cognitive Therapy and Research. - 1983. - №7. Cassin S.E., Rector N.A. Mindfulness and the Attenuation of Post-Event Processing in Social Phobia: An Experimental Investigation // Cognitive Behaviour Therapy. - 2011. - Vol. 40. - №4. Clark D.M., Wells A. A Cognitive Model of Social Phobia // R.G. Heimberg, M.R. Liebowitz, D.A. Hope, F.R. Schnei-er (Eds. ), Social Phobia: Diagnosis, Assessment, and Treatment. - New York, 1995. Chen Y.P., Ehlers A., Clark D.M., Mansell W. Patients with Generalized Social Phobia Direct their Attention away from Faces // Behaviour Research and Therapy. - 2002. - №40. Duval T.S., Wicklund R.A. Effects of Objective SelfAwareness on Attributions of Causality // Journal of Experimental Social Psychology. - 1973. - №9. Eastwood J.D., Smilek D., Oakman J. M., Farvolden P., van Ameringen M., Mancini C., et al. Individuals with Social Phobia are Biased to Become Aware of Negative Faces // Visual Cognition. - 2005. - 12(1). Hackmann A., Surawy C., Clark D.M. Seeing Yourself through Others’ Eyes: A Study of Spontaneously Occurring Images in Social Phobia // Behavioural and Cognitive Psychotherapy. - 1998. - №26. Hartman L.M. Cognitive Components of Social Anxiety // Journal of Clinical Psychology. - 1984. - №40. Harvey A.H., Watkins E., Mansell W., Shafran R. Cognitive Behavioural Processes Across Psychological Disorders: A Transdiagnostic Perspective to Research and Treatment. - Oxford, 2004. Hofmann S.G., DiBartolo P.M. Social Anxiety: Clinical, Developmental, and Social Perspectives Academic. - Elsevier, 2010. Hofmann S.G. Self-focused Attention before and after Treatment of Social Phobia // Behaviour Research and Therapy. - 2000. - №38. Hope D.A., Gansler D.A., Heimberg R.G. Attentional Focus and Causal Attributions in Social Phobia: Implications from Social Psychology. Special Issue: Social phobia // Clinical Psychology Review. - 1989. - №9. Hope D.A., Rapee R.M., Heimberg R.G., Dom-beck M.J. Representations of the Self in Social Phobia: Vulnerability to Social Threat // Cognitive Therapy and Research. - 1990. - №14. Horley K., Williams L.M., Gonsalvez C., Gordon E. Face to Face: Visual Scanpath Evidence for Abnormal Processing of Facial Expressions in Social Phobia // Psychiatry Research. - 2004. - №127. LeMoult J., Joormann J. Attention and Memory Biases in Social Anxiety Disorder: The Role of Comorbid Depression // Cogn. Ther. Res. - 2010. Mattia J.I., Heimberg R.G., & Hope D.A. The Revised Stroop Color-Naming Task in Social Phobics // Behaviour Research and Therapy. - 1993. - №7. Mathews A., Mackintosh B. A Cognitive Model of Selective Processing in Anxiety Cognitive // Therapy and Research. - 1998. - Vol. 22. - №6. Musa C., Le'pine J.-P., Clark D.M., Mansell W., Ehlers A. Selective Attention in Social Phobia and the Moderating Effect of a Concurrent Depressive Disorder // Behaviour Research and Therapy. - 2003. - №41. Papageorgiou C., Wells A. Depressive Rumination: Nature, Theory and Treatment. - West Sussex, England, 2004. Rapee R.M., Heimberg R.G., Brozovich F.A. A Cognitive Behavioral Model of Social Anxiety. Disorder: Update and Extension // Social Anxiety Clinical, Developmental, and Social Perspectives / Edited by S.G. Hofmann and P.M. Di-Bartol, 2010. Roberts K.E., Hart T.A., Eastwood J.D. Attentional Biases to Social and Health Threat Words in Individuals with and without High Social Anxiety or Depression // Cogn. Ther. Res. - 2010. - №34. Salkovskis P.M., Rimes K.A., Warwick H.M.C., Clark D.M. The Health Anxiety Inventory: Development and Validation of Scales for the Measurement of Health Anxiety and Hypochondriasis // Psychological Medicine. - 2002. - Vol. 32. - №5. Schneider W., Eshman A., & Zuccolotto A. E-Prime: A User’s Guide. - Pittsburgh, PA, 2002. Spurr J.M., Stopa L. Self-focused Attention in Social Phobia and Social Anxiety // Clinical Psychology Review. - 2002. - №22. Stopa L., Clark D.M. Social Phobia and Interpretation of Social Events // Behaviour Research and Therapy. - 2000. - №38. Wells A. Detached Mindfulness in Cognitive Therapy: a Metacognitive Analysis and Ten Techniques // Journal of Rational-emotive and Cognitive-bihavior Therapy. - 2006. - Vol. 23. - №4. Williams J.M.G., Mathews A., & MacLeod C. The Emotional Stroop Task and Psychopathology // Psychological Bulletin. - 1996. - №120. Yuen P.K. Social Anxiety and the Allocation of Attention: Evaluation Using Facial Stimuli in a Dot-Probe Paradigm / Unpublished Research Project, Department of Experimental Psychology, University of Oxford, UK, 1994.